Unlock Samsung Galaxy Tab 3 7.0 P3200 - Safe IMEI Unlocking Codes for You! Unlock Samsung Galaxy Tab 3 7.0 P3200 Handset! In case your Galaxy Tab 3 7.0 P3200 doesn't ask for the code and there is no designated field to enter it, please DON'T PLACE ANY ORDER, contact us first for support. Do you want to unlock your Samsung Galaxy Tab 3 7.0 P3200 to use it with Any GSM SIM Card worldwide? If yes, SafeUnlockCode can do that for you with our Fast and Safe Unlocking Service! Our unlock codes works for the latest models including Samsung Galaxy Tab, Galaxy II, Galaxy III, Galaxy Note 3, Infuse 4G, Omnia, Galaxy Skyrocket, Captivate and many more! We are able to unlock the most GSM Carriers including Vodafone, Orange, At&t, T-Mobile, Three, Rogers, Fido, Bell, Telus and many more. We use the same method Networks and Carriers use to unlock your device and charge you $50 or more! Before placing an order for an unlock code please make sure you send us some information! How to Unlock Samsung Galaxy Tab 3 7.0 P3200 Phone - Tutorial! Please find bellow a step-by-step guide to follow in order to unlock your Samsung Galaxy Tab 3 7.0 P3200. Please unlock my Samsung Galaxy Tab 3 7.0 P3200 from CTBC Brazil. Can you provide code for Samsung from Sweden Spring Mobile? 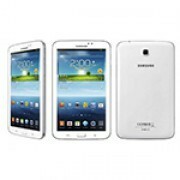 Can you provide code for Samsung Galaxy Tab 3 7.0 from Germany Airdata! Hi Russ! The unlock codes are available, just please use the form or email us all the details if you decide to place an order or for any further information. Thank you!